I am big fan of avocados. Avocado creamy structure is perfect fit for many different recipes. 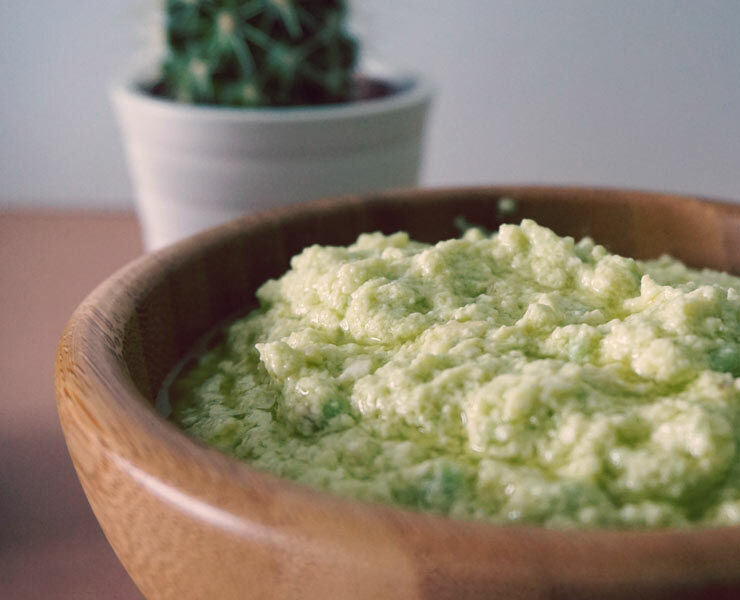 One of them is avocado dip i came up with and immediately fell in love with. It is so easy to make, it takes 5 min to mix all together and enjoy. It is very good for your health as well. Healthy omega-3 fatty acids from the avocado mixed with the olive oil and lemon juice. Feta cheese provides the necessary salinity to this dip and makes it simply perfect. If you don’t eat cheese you can replace it with cashews and salt. I am eating this a lot, absolutely love it. At the moment weather is too hot to cook some complex food ;). You just need a fresh avocado, olive oil, lemon, feta cheese, few capers and you have this snack ready. Thickly spread it on your favorite warm bread with slices of cucumber. Bon Appetit! Simply cut the avocado flesh off the stone and mash with a fork. Add feta cheese to it and mash it all together. Than add olive oil to it till you get smooth mixture. Ad a lemon juice and chopped capers and mix it one more time till you get a creamy dip.